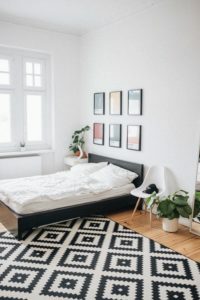 Given that we spend around one-third of our lives sleeping, it makes sense to make our bedroom as comfortable and visually pleasing as possible. But many of us are guilty of treating our bedroom just as a place to get some shut-eye, without any consideration for making it a place we actually enjoy retreating to. 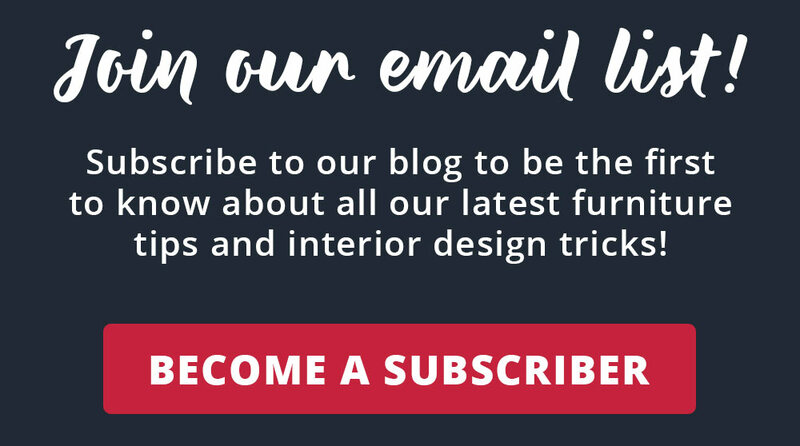 If your bedroom is looking a bit lackluster, why not plan a mini revamp? And before you say, “isn’t that expensive?” it doesn’t have to be! There are many affordable items that you can buy that will take your bedroom from drab to fab. We’ve suggested 4 affordable additions that won’t break the bank. If you have any more ideas of your own, be sure to leave a comment below! If you ever enter a fancy hotel room, one of the first things you’ll notice is the many pillows and/or cushions on the bed. Buying some more cushions or pillows is an easy way to bring some hotel luxury to the confines of your bed. And it goes without saying that it will also make your sleep substantially more comfortably – particularly if you’ve been using a pillow that doesn’t quite feel right. There’s little more important to your health than a quality night’s sleep. Why not help yourself out by investing in a therapeutic pillow? Or if you’d like to purchase some cushions, remember that they also double as a prop up when you’re reading, and are a great way to spruce up your bed if it’s a bit on the bland side. Just look at all of these gorgeous designs from Ikea! After something that gives off the air of being expensive, but gives you change from $50? An oil diffuser is it. Not only do they look sophisticated and upscale, they will leave your room smelling wondrous. Another little-known benefit is that they can help to improve your breathing, sleeping, allergies, and stress. The popularity of oil diffusers means there are many different types to choose from to suit your particular aesthetic, budget, and needs. You can easily narrow down the one you want buy by browsing through this comprehensive list of the best oil diffusers. As you’ll see, there are varieties that come with adjustable mist output, LED lights, and even ones that use Bluetooth to play your music! A statement rug seems like a luxurious purchase for your bedroom. Rugs, after all, don’t usually come cheap, so it can seem like a costly purchase to make. Well, that’s if you buy one from a boutique store. But did you ever think of picking one up from Walmart? We bet you didn’t think you’d find such fashion-forward rugs there! If space is limited, a rug is a great way to make your bedroom seem bigger than it is. It’s also the perfect solution to adding a bold touch to an otherwise minimalistic room. In terms of comfort, it will make your room seem cozier, and warmer (both figuratively, and for your cold feet in winter!). Whether a tall lamp standing in the corner of your room, or a small one you place on your bedside tables, lamp shades are both a practical and aesthetically pleasing item, which will be a welcome addition to your bedroom. We are obsessed with the selection over at Ikea, with our favorites including the stylish blue NYMÖ lamp shade, and the oh-so-cool geometric BRUNSTA lamp shade. And did you spot the prices? Most are in the $10 to $20 range, with the most affordable starting at $4.99. With prices like that, you may as well pick up a couple more to transform the rest of the house as well. And speaking of the rest of your house, be warned: once you finish up with your bedroom and catch the revamping room obsession, it’s one that’s hard to shake off!